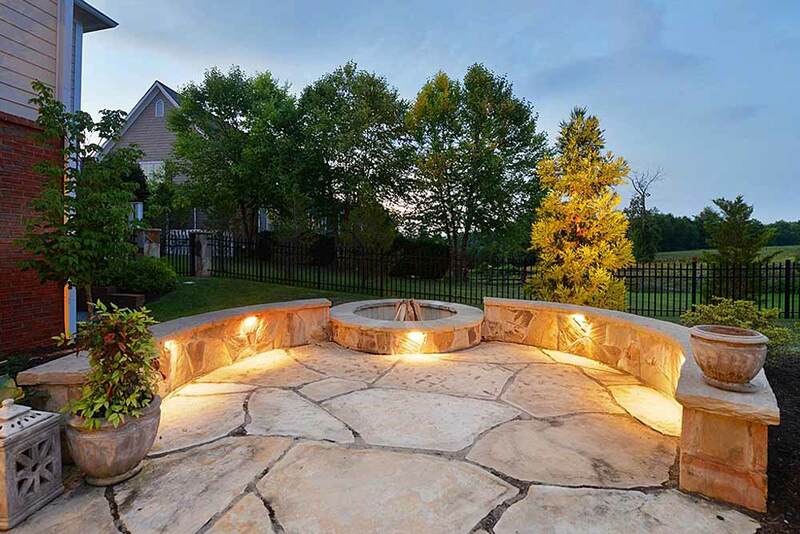 Fire pits and outdoor fireplaces provide a tranquil fire viewing environment. 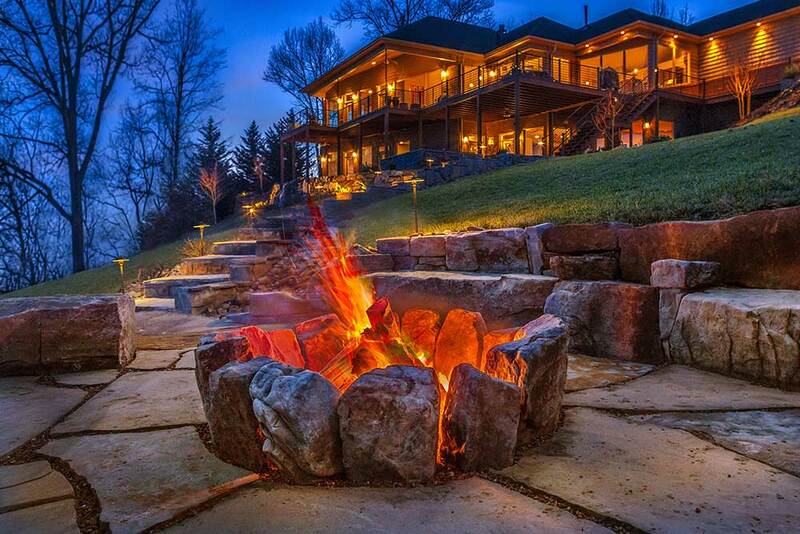 Few can resist pulling up to the fire to bask in the warmth and gaze into the light. 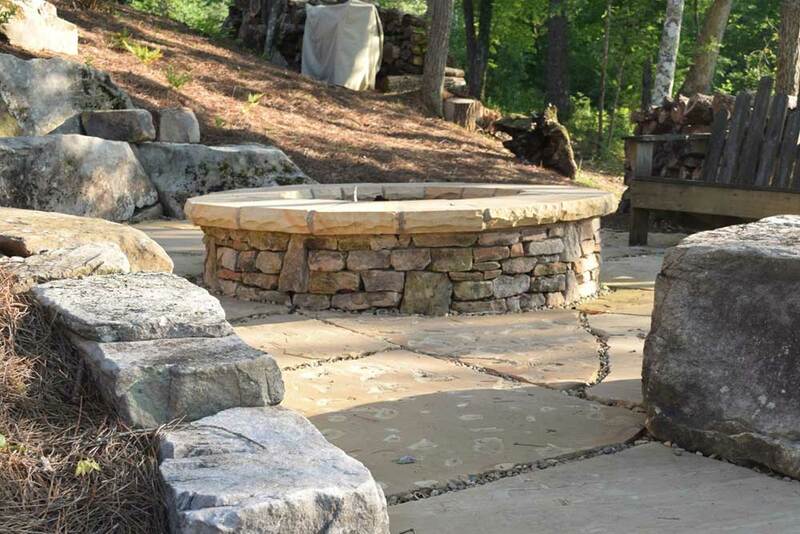 Earthadelic is proud to have built literally hundreds of fireplaces and fire pits in the Knoxville area. 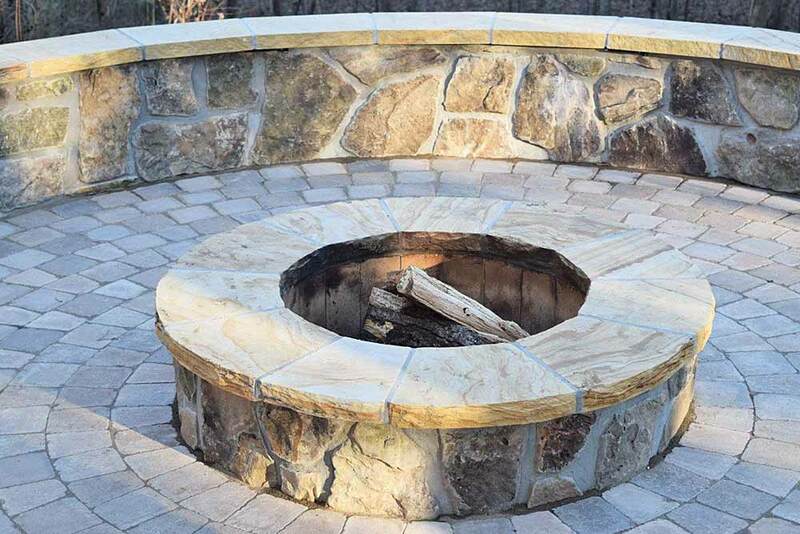 We've used a variety of materials and will be sure your fire element serves the intended purpose and also follows all codes and building guidelines. 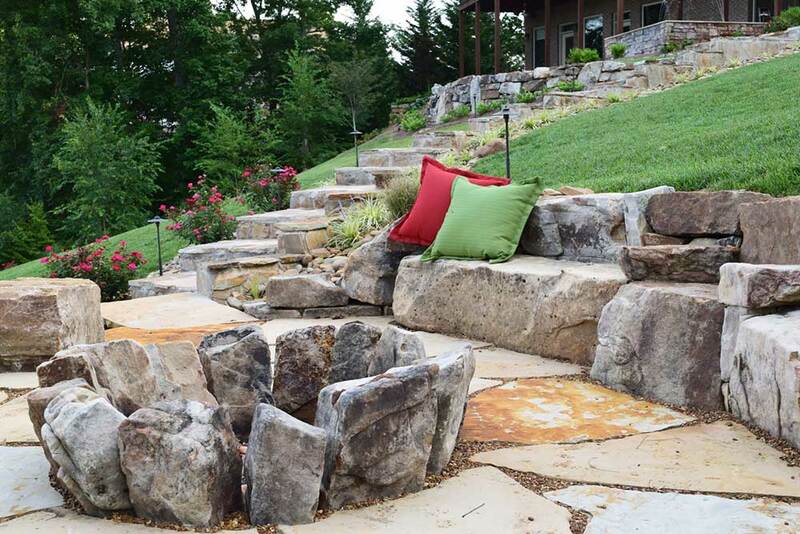 Material options include stone, brick, steel, and a variety of concrete materials. 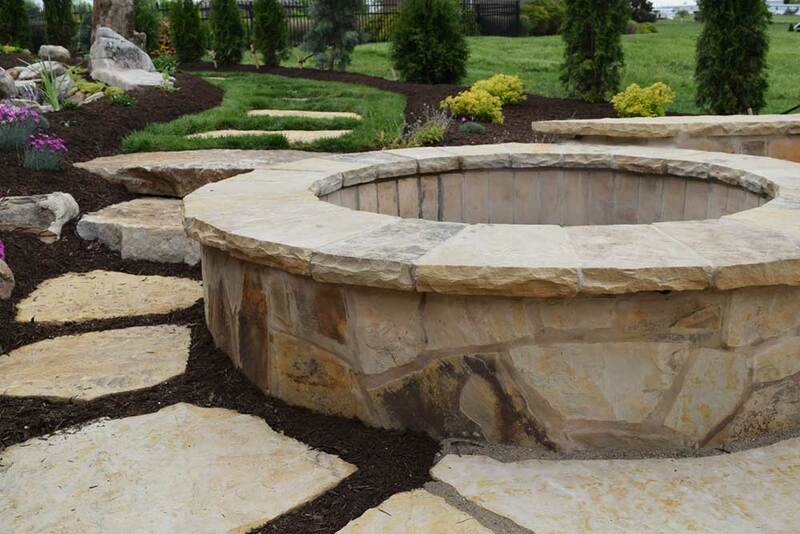 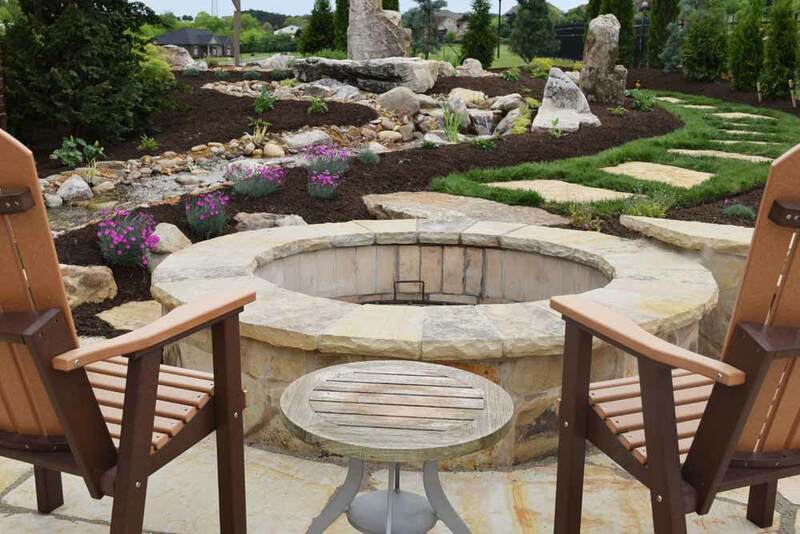 Fire pits and fireplaces go hand-in-hand with our other hardscaping services. 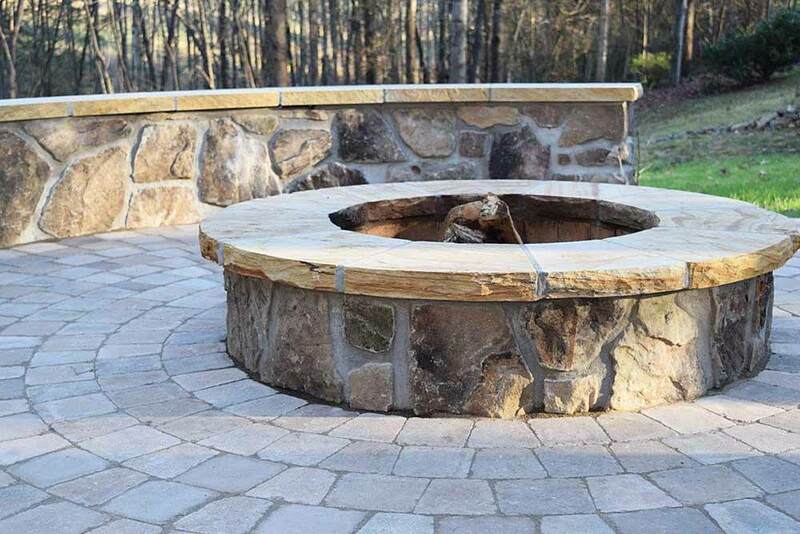 Concrete paver blocks, brick, and stone are the most common materials used in an outdoor fireplace orfire pit, but they are by no means your only options. 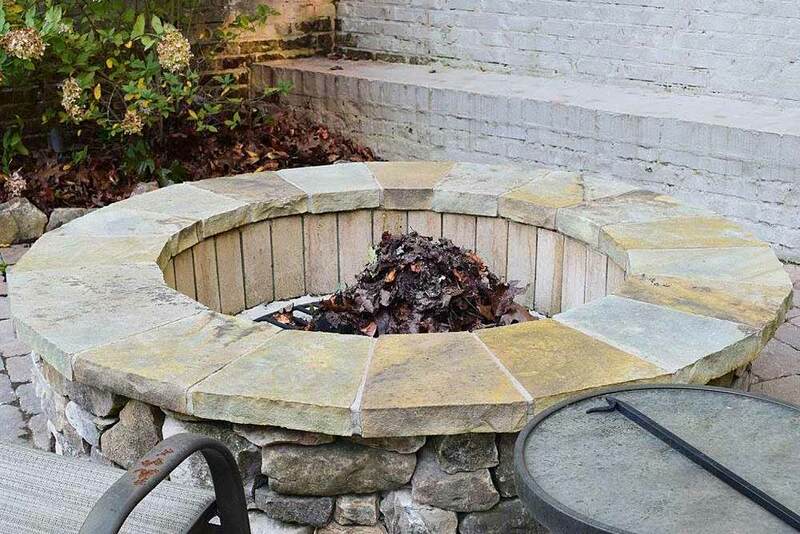 A wood burning fireplace or fire pit is the most common choice. 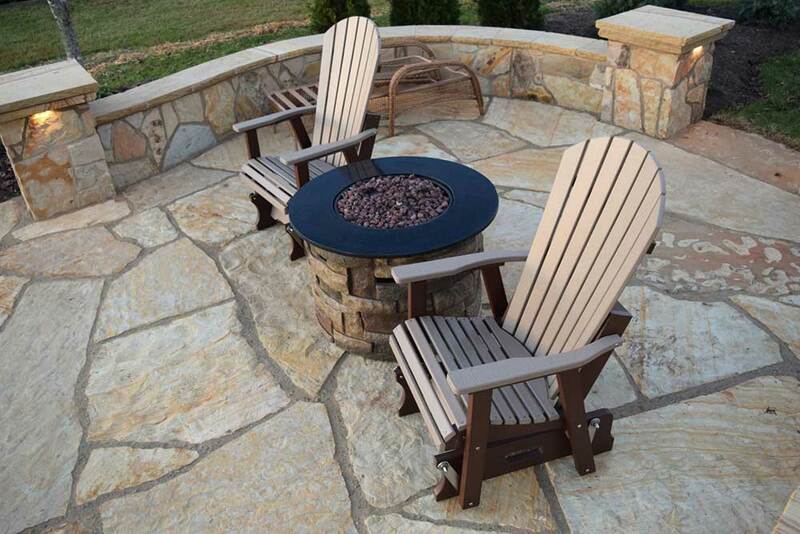 We recommend burning seasoned hardwoods like oak, maple, and hickory for the best burn. 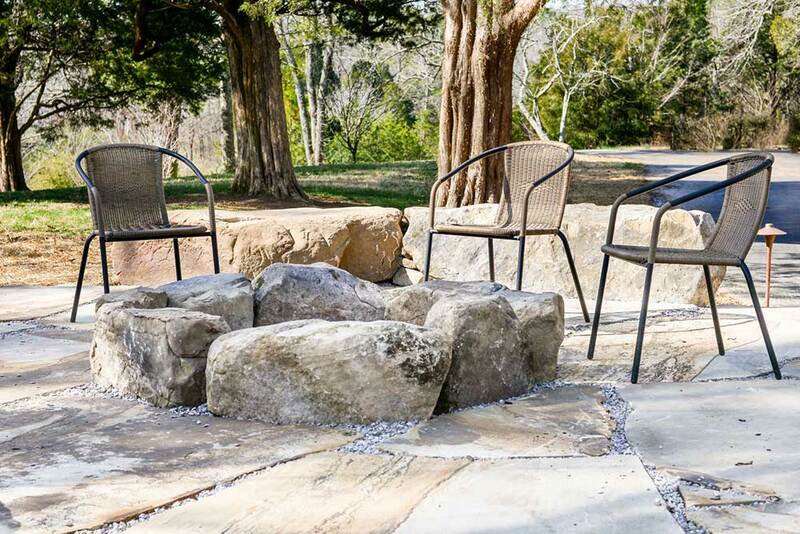 Liquid propane (LG) and natural gas (NG) fire pits and outdoor fireplaces are great for those who might not always want to channel their primal fire starting instincts. 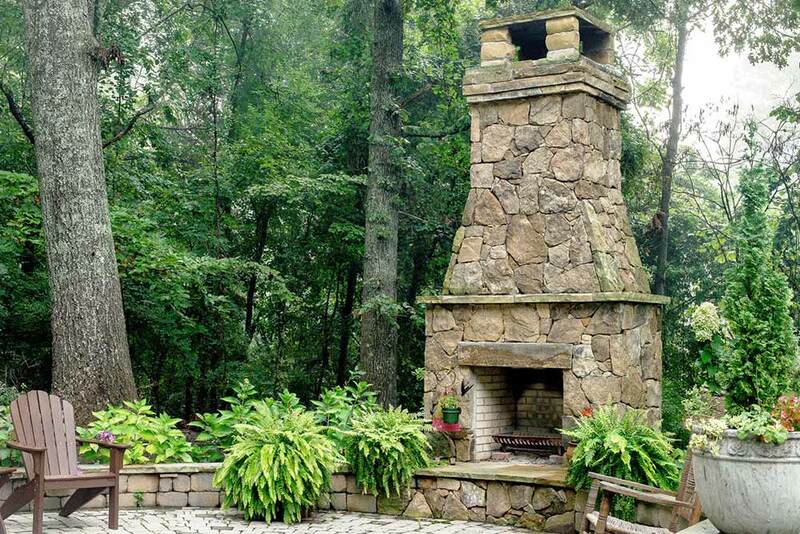 Just the push of a button or the turn of a knob and you're cook'n with fire! 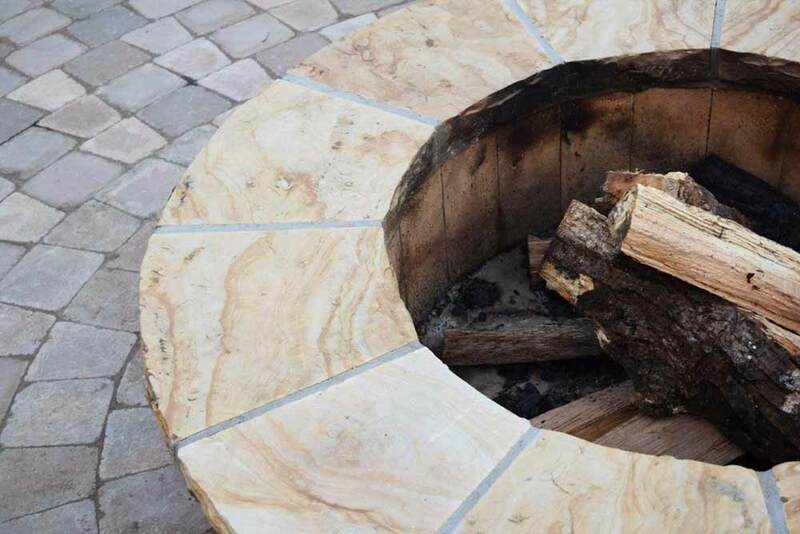 A new trend in ourdoor design involves unique, sculpturesque fire elements that give off heat and light in a creative new way. 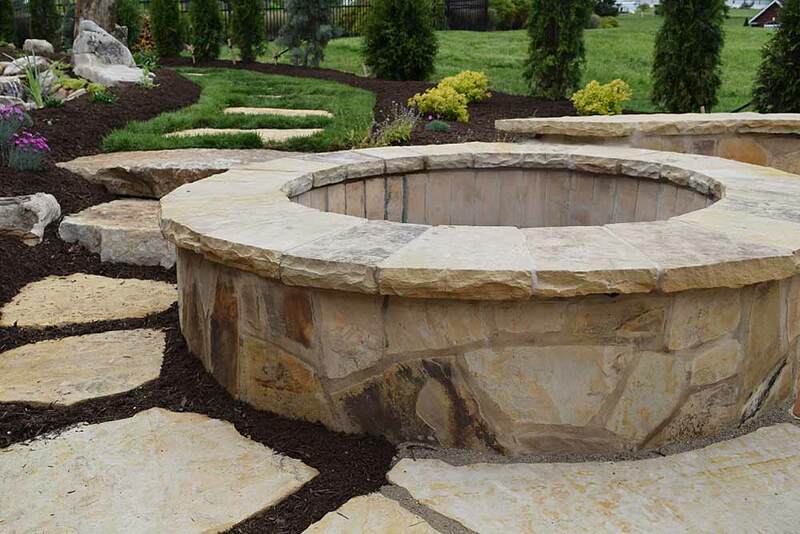 Options include fire that seems to emenate from glass beads, sand, or lava rocks. 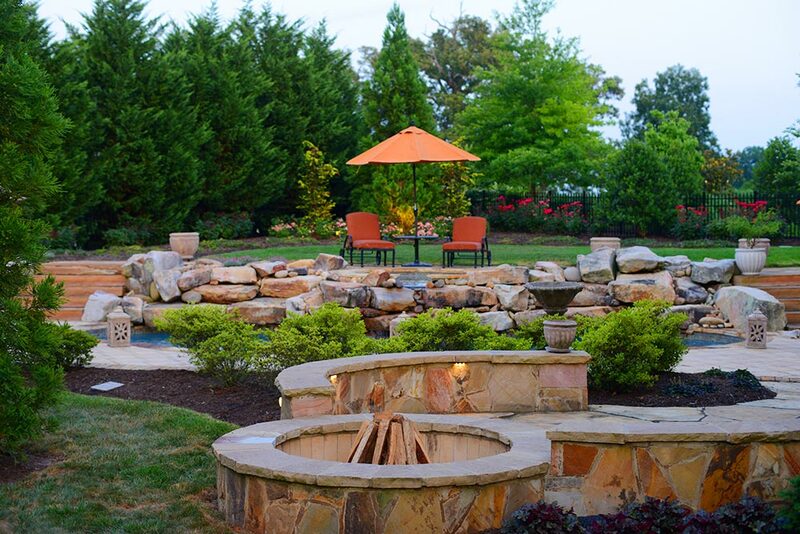 Our designers can help explain your options.